1. Swine are also called hogs. They were among the first animals to be domesticated, possibly as early as 7000 B.C. 3. Most of the pigs in the United States are produced in the Midwestern states, including Nebraska, Iowa, Minnesota and Illinois. Worldwide, China is the country that produces the most hogs. 4. Pigs weigh from 110 to 770 pounds. Pigs can weigh up to 1,000 pounds. 5. A pig’s body length averages about 4 feet. If you stretch out their curly tails, you’ll find their tails are about 12 inches orone foot in length. 6. A pig’s shoulder height is about 3 feet. 7. Pigs have an amazing sense of smell. 8. Pigs have varying ear shapes – from small and erect to low-flapping. 9. Pigs eat many different things including shrubs, weeds, bird eggs, snakes,grasshoppers, mice, roots, and even manure. 10. Pigs are the fastest growing animals on the farm. They gain 2 to 3 pounds every day! 12. Pigs do not have any sweat glands in their body. Therefore, they need water or mud to keep their body heat at a comfortable temperature. Extreme weather, hot or cold, is stressful to a pig’s body. 13. Pigs can’t make up missed meals. Its is essential to have food available for the hog either 2-3 times a day or on free feed until the hog is about 100 pounds. Hogs need fresh water available at all times. 14. A female pig prior to giving birth is called a gilt, whereas after giving birth she is referred to as a sow. The gestation of a sow (time period the pig is pregnant) is 3 months, 3 weeks, and 3 days long. On average, one sow can have 2 litters of piglets per year (about 4 months pregnant, 1 month nursing, and a final month come back into the heat cycle). 15. Pigs are scientifically proven to be the smartest barnyard animal. They are curious and cunning. They show this through their everyday activities. If you were to mix up food where they would see it, they could easily go back and find the source days later. 16. Pork is the most widely eaten meat in the world. 17. Salt pork was a key staple food for Washington’s troops at Valley Forge in the winter of 1776 to 1777. 19. Insulin and about 40 other medicines are made from pigs. 20. Pigs are smart! They can learn to push a lever in the barnyard to get a drink of water or a dish of food. Over the years pigs have been taught to tumble, race, pull carts, dance and hunt. 21. Because of their incredible sense of smell, hogs are being used today for drug-sniffing and bomb detection. 22. The slave trade contributed to the spread of the Guinea hog from Africa across Spain, France, England,and America. 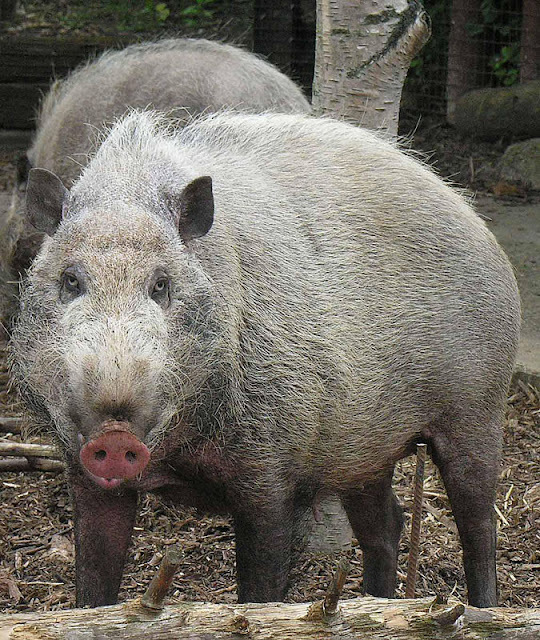 In the early 1800’s, Guinea hogs were found throughout the southern United States where they were raised for both pork and lard production.They were also used in people’s yards to keep out rats, mice, and snakes. 23. Pig breeds were traditionally classified as one of 2 types: lard or bacon. Lard breeds were used to produce lard, a cooking fat and mechanical lubricant. During World War II, there was a great need for lard in the production of explosives. After the war, chemicals replaced lard for industrial and military purposes. Healthy eating habits replaced the need for lard in cooking. Only 3 breeds of traditional lard type breeds exist today, one being the Guinea hog. With bistroMD you can trust that you will not only get tasty entrees, but that every entree and each in bistroMD's weight loss programs is balanced to bistroMD's custom nutritional platform to promote an healthy diet.